« What Makes a Princess? April 16, 2008 is a day that both Anna and her new husband Pietro will always remember. It was when everything changed! They had known each other through mutual friends, but it was while at a friend’s barbeque they found themselves sitting together talking about life when Pietro asked Anna out to dinner. Two years later in February, Anna was headed to the gym. Meanwhile, Pietro had arrived at their home from work to get everything set for the special night in which he planned to propose. Since they wanted to start a family right away, Anna and Pietro decided to wed by the end of the year, choosing November 13, 2010 for their date. 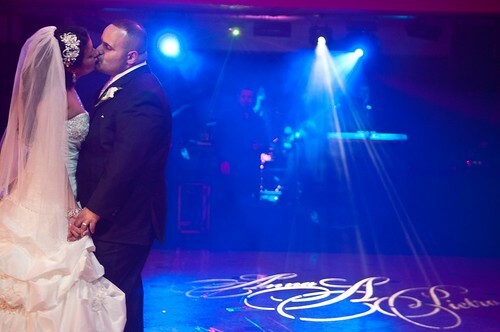 As a bridal coordinator with her own wedding planning and coordinating company, A Touch Of Posh, Anna had taken care of many brides and their weddings! So she knew exactly what she wanted to do and the top vendors to choose. 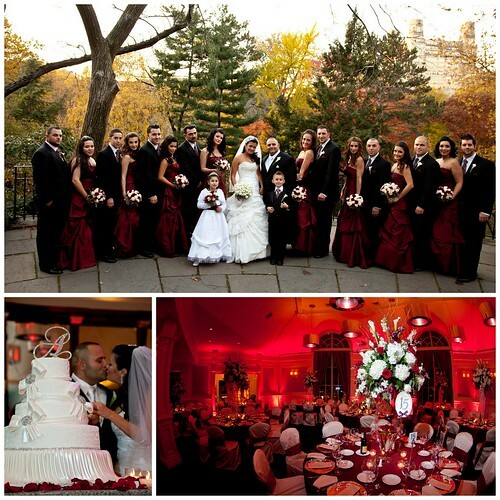 It wasn’t long before she and Pietro had chosen Sacred Heart of Jesus in Bayside and Westmount Country Club for their ceremony and reception, along with all the professionals that would help make their dream wedding come true. 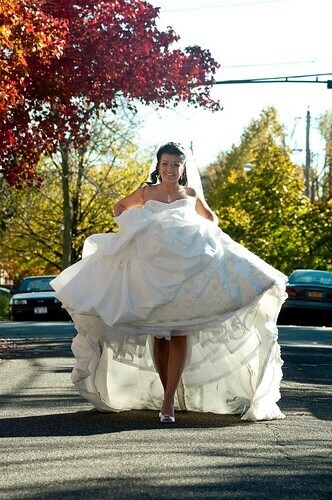 Next on her list were her wedding dress and bridesmaid dresses! Thanks so much, Anna and Pietro, for sharing your images and day with us, and best wishes! This entry was posted on Tuesday, March 29th, 2011 at 9:55 am	and is filed under A Wedding Story. You can follow any responses to this entry through the RSS 2.0 feed. You can skip to the end and leave a response. Pinging is currently not allowed. Love it!! I love my cousins and they deserve the best!! I cry everytime I think of their great day and how it was a memorable date for all of us who atetnded!! LOVE YOU PEE AND ANNA!!!! Absolutely Stunning!!!! I got my headpiece and accessories there as well 10 years ago!!!! xxoo always remember your special day!